Could you be fired for filing for workers’ comp? Can an employer refuse to provide workplace injury compensation? Get fast answers to your injury questions by browsing our work injury FAQ page. Columbus employees and workers throughout Ohio who suffer injuries on the job normally have many questions running through their mind. Here we have provided many answers to common questions we are asked regarding general claim information. We have also provided many questions and answers regarding medical treatment and receiving compensation. Do I need an attorney for my workers’ compensation case? How long does it take to process a workers’ compensation claim? What types of benefits will I receive? If my injury happened at work, why is my employer denying treatment? What if my employer tells me not to file a workers' compensation claim? Can I appeal a denied workers' compensation claim? Who files an Ohio workers’ compensation claim? You do! When an injury occurs at work, immediately report the accident to your employer. They are supposed to help you file the claim with the company’s Managed Care Organization (MCO). Reporting the claim online at ohiobwc.com is the Bureau’s preferred way of filing a claim. When you file a claim online, you will immediately receive a claim number. Learn more about filing a claim if you have already seen a doctor. Unfortunately, the answer is not so simple. Workers' compensation laws are very complex and it is sensible to work with an experienced Columbus workers compensation attorney. It really does depend on your individual situation. Please call our office at (614) 334-4649. In Ohio, workers’ compensation covers physical injuries sustained in the course of and arising out of employment. Pre-existing physical conditions substantially aggravated by a work injury/incident may also be covered. Psychiatric/psychological conditions that develop from or, if pre-existing, are substantially aggravated by physical injuries are also covered. Ohio is one of a minority of states that does NOT recognize as compensable psychiatric/psychological conditions that develop without a corresponding physical injury. Do I need an attorney for my workers’ comp case in Columbus? How do I claim workers' compensation in Columbus? First, report the injury to your Columbus or Ohio employer in writing. While reporting in writing isn’t a legal requirement, doing so documents your actions and lessens the possibility that your claim will be contested. Second, seek medical attention from an urgent care facility, hospital emergency room, company nurse, or doctor soon. Provide a complete history of what you were doing, how you were injured, and where it hurts. Third, if you are claiming workers’ compensation, file your claim promptly. The time you have to file a claim is limited by the statute of limitations. Your hospital or employer may furnish necessary paperwork and even file the claim for you, but it is ultimately your responsibility to ensure that your claim is filed with the Ohio Bureau of Workers’ Compensation and a claim number is assigned. Within 28 days, the Bureau of Workers’ Compensation (BWC) will allow or deny your claim. By responding to any inquiries from them or from your managed care organization (MCO), you will speed up the decision process and receipt of benefits. Injured workers in Ohio are eligible to receive medical treatment for their work-related injuries and compensation for their lost time from work. This compensation, known as Temporary Total Disability (TTD), is paid if the injury results in more than a week off work. If the lost time is less than a week, no compensation is payable. If it’s between one and two weeks, only the period during the second week is compensable. If over 2 weeks, it’s all paid. Temporary Total Disability compensation is paid based on a percentage of the worker’s earnings for one week, 6 weeks or 52 weeks prior to the injury, depending on how long the period of disability lasts. Injuries resulting in some permanent impairment may permit an additional award of compensation known as permanent partial disability. The Ohio Bureau of Workers’ Compensation requires Form C84 as proof of ongoing temporary total disability. The injured worker must complete the form, verifying the period of disability and that she has not worked and has not received other wages during the period of temporary total disability. These forms must be periodically updated for compensation to continue. 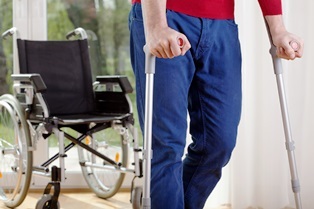 Your doctor must complete a separate form certifying temporary total disability. Both forms are required before compensation can be paid. A MEDCO-14 is a Physician’s Report of Work Ability. Your doctor completes this form to certify that you are temporarily and totally disabled due to your work injury or to identify any restrictions on your ability to perform your job duties due to the injury. A MEDCO-14 must be submitted every time you submit a C-84. Permanent partial disability (PPD) is a form of compensation that may be payable following a work injury. It is paid by the Ohio Bureau of Workers’ Compensation or a self-insured employer following an exam (or sometimes multiple exams) at which a physician is asked to provide an opinion regarding lost bodily function that has resulted from an injury or occupational disease. It is workers’ compensation’s version of a damages award for an industrial injury. Time limitations may apply in requesting an award of PPD. In addition, the percentage of disability resulting from an injury may be disputed by the injured worker, the employer, and/or the BWC. In such situations, the Industrial Commission conducts a hearing to determine a proper award. This is differs from a settlement of your claim. Treatment may be denied by your employer, your managed care organization (MCO), or the BWC if excessive, inappropriate, or not cost-effective. MCOs may deny treatment they consider too expensive, even if it is treatment your doctor believes is beneficial. You may appeal decisions denying treatment that your doctor believes appropriate. Penalties may be assessed against employers who fail to provide workers’ compensation coverage. If an employer tells you not to file a claim for a work-related injury, maybe s/he tried to cut costs by not obtaining the mandatory workers’ compensation coverage. Reporting the injury would notify the BWC of the employer’s non-compliance. It could also be the employer has had so many claims filed against them they fear the BWC will increase their insurance premiums. The BWC has 28 days to allow or deny your claim. If you or your employer disagrees with BWC’s decision, either party can file an appeal with the Industrial Commission (IC) within 14 days. • District level hearings — These take place in locations throughout Ohio within 45 days of filing an appeal. The district hearing officer will decide within seven days. The IC sends both parties a written notice of the hearing officer’s decision. Each party has 14 days from receipt of the district hearing officer’s decision to file an appeal to the next level. • Staff level hearings — These take place within 45 days after an appeal of the district hearing officer’s decision is filed. The staff hearing officer will decide within seven days. The IC will send each party a written notice of the staff hearing officer’s decision. Each party has 14 days from receiving the staff hearing officer’s decision to file an appeal to the next level. • The commission level — After studying the staff hearing officer’s decision, the commission either agrees to hear the appeal or refuses to permit further appeal. If the commission accepts the appeal, a commission hearing will occur within 45 days. The commission will decide within seven days. If the commission refuses to hear the appeal, depending upon the issue, you may appeal the matter to the court within 60 days after receipt of the commission order. Learn more about your options if your workers' comp claim has been denied. It only takes a split second for an accident at work to turn a person’s life upside-down as the medical bills roll in. We've aimed to answer all of your questions regarding receiving the medical treatment you need. If you still have questions about workers' compensation or receiving medical treatment, please contact our office at (614) 334-4649. We've also answered many FAQs regarding general claim info and receiving compensation. Can I go to my family doctor? I want to change doctors. How? I can’t get my prescriptions filled. What should I do? Why do I have to wait for treatment? 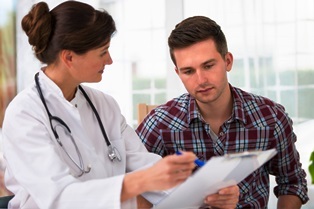 What is Independent Medical Examination (IME)? How will I know if a doctor is certified by BWC? How do I get my medical bills paid for? What should I do if I get medical bills? Can I get reimbursed for prescriptions? Requests for treatment are submitted by your doctor to the MCO assigned to your case. If your employer is self-insured, requests are sent to your employer’s TPA (third-party administrator). The MCO or TPA may request additional information from your doctor or a medical review before approving the treatment. Denials of treatment may be appealed. An injured Ohio worker may be treated by a doctor of his choice, as long as the doctor is a BWC-certified healthcare provider. Often, family doctors do not treat job-related injuries because they are concerned about the paperwork involved and/or the hassles associated with claims procedures. Your family doctor refer you to a BWC-certified provider. You can also ask for recommendations from co-workers, your union representative, your attorney, or other people who have received treatment for a work injury. The BWC and your MCO also maintain lists of physicians who treat industrial injuries. You may decide to change physicians for a variety of reasons, ranging from the retirement of the provider, travel distance, or a desire for a different treatment option. Injured workers who wants to change physicians should notify the MCO and submit BWC Form C23. If your employer is self-insured, this form should be sent directly to the employer or its TPA. Your pharmacist can explain why payment for a prescription is denied. It may be a coding error or a concern that the medication is inappropriate. Your doctor can provide additional information regarding the need for and the propriety of the medication. If the bill was denied pending the allowance of the claim, you will be reimbursed once your claim is allowed. Keep all receipts for medications and treatment related to your injury if you need to request reimbursement. Temporary total disability (TTD) compensation is payable following an on-the-job injury until the injured worker is released to return to her former job, actually returns to that job, or is determined to have reached maximum medical improvement (MMI). MMI indicates that the injury has reached a treatment plateau under the current treatment regimen, meaning it has gotten about as good as it will get! Although temporary benefits are no longer payable if the condition is no longer improving, other forms of compensation may be available for injured workers whose TTD has been terminated after a finding that their condition has reached MMI. Why do I have to wait for treatment? I just want to get back to work! During the initial processing period (i.e., when the Ohio BWC or your employer is deciding whether to allow or contest the claim), physicians may be reluctant to provide treatment, as there is no guarantee they will be paid. Some doctors will provide treatment, pending the allowance of the claim, expectating the claim will be allowed or that you have other means of paying (for example, other insurance) should the claim be disallowed. While your claim is considered, avoid large unpaid medical bills you may have to pay should your claim be disallowed. Once the claim is allowed, providers (other than pharmacies) who have treated you for the job-related injury should submit their bills to your MCO. An independent medical examination (IME) is a medical evaluation scheduled by the BWC or employer's representative to opine about various medical issues related to your claim, including, but not limited to, whether treatment or testing is necessary, the degree of your permanent impairment and whether you have reached MMI. When scheduled by an employer, I believe it more accurate to describe this as a DME: Defense Medical Exam. Employers hire the same doctors over and over to render medical opinions on their behalf--they are not "independent". The simplest way is to ask your doctor when you make the initial appointment. You may also call the employer's MCO, the BWC at 1-800-644-6292, or research BWC certified providers (by name, location and/or specialty) at the BWC's website. Medical bills should be payable in an allowed claim. Give your claim number to all of your medical providers who treat you in your claim. They will then request authorization for the medical treatment they request from the MCO. You should forward the bills to your MCO or self-insured employer. Unpaid bills can be appealed to the BWC for further investigation. Like medical bills, prescriptions for allowed conditions in your claim should be payable in an allowed claim. Inform your pharmacist that the prescription is for a workers' compensation claim. You may need to pay for the initial prescription, but if the BWC determines the medicine was for the allowed conditions, you will be reimbursed. Obviously, you are responsible for any bill or prescription that the BWC determines is not related to your claim. Workers who suffer injuries on the job normally have many questions running through their mind. Here we have provided answers to the questions we are commonly asked. We have also provided many questions and answers regarding medical treatment and general questions. When will I get paid? How much will I be paid? How long can I get paid for missing work? What decides how much money I receive while out of work? Can I ask for a settlement? What happens if I go back to work after being deemed permanently and totally disabled? Do I still get any benefits when I return to work? Is any tax taken out of my benefits check? Why do my Worker's Comp checks come in for different amounts? How long does it take for me to receive my benefits check? Filing a claim doesn’t guarantee payment of compensation or benefits. Your claim may be denied or disputed by the BWC or your employer. The Ohio Bureau of Workers’ Compensation has 28 days from claim filing to accept or deny a claim. Learn about your options if your claim has been denied. Compensation won’t be paid until a claim is allowed. The amount you are paid depends in part on how long you cannot work. The Ohio BWC or a self-insured employer will calculate your earnings prior to your injury, and you will be paid a percentage of those wages. The wage calculation and rate of payment often change, depending upon how long you cannot work. Wages may be set too low, and in these cases we can request an adjustment to consider special circumstances, periods of unemployment, or additional wage information, including wages from a second job. How long will I be paid for the work I miss? Generally, you could be compensated until you are released to return to your former job, actually return to that job, or are determined to have reached maximum medical improvement (MMI). How is the money I am paid determined? Your benefits are based on the money you earned working for the year prior to injury. Your Full Weekly Wage (FWW) is determined by the greater of your gross wages (including overtime) earned over the 6 weeks prior to injury, divided by 6; or your gross wages (excluding overtime) for the 7 days before the injury. The first 12 weeks of temporary total disability (TTD) compensation will be paid at 72% of your FWW. Benefits after the first 12 weeks of TTD will be paid based on your Average Weekly Wage (AWW), which is generally calculated by taking your earnings from all employers for the year prior to the injury and dividing that amount by 52 weeks. Those benefits are paid at 66⅔% of your AWW. This is an issue you should consult an attorney about. There may be factors you are not aware of, and an experienced attorney can help secure the maximum settlement amount. At a minimum, wait until you are sure you will have no further complications from your work injury. Most employers will not settle with an employee while they are still working there, as the risk of re-injury and a new claim is present. You will lose any permanent total disability (PTD) benefits and likely be charged with fraud if you collect PTD compensation while working (unless you are receiving statutory PTD). If you believe you have medically recovered to the point of returning to work, consult an attorney about options before you do. There are other benefits that may be available after returning to work. For instance, you may be entitled to a Working Wage Loss if your injury prevents you from making the same salary as you did prior to the injury. This is something you should consult with an attorney about. No. Workers' compensation benefits are tax-free. The first 12 weeks of TTD compensation are paid at 72% of your FWW. After the first 12 weeks, it is paid at 66⅔% of your AWW. It is possible that, because of the day of the week a check is originally issued or other factors, a check may only cover a portion of the standard 2-week pay period. The period covered will be listed on the payment. You will receive the amount you are entitled to, and eventually, the checks will be for a consistent amount and released on a consistent basis. Unfortunately, there is no definitive answer to this question. It may take many weeks (and sometimes, months) before compensation is received after it is awarded. What are the Official Disability Guidelines, and how do they affect my workers’ comp? If you're collecting workers’ compensation in Ohio for an ongoing work injury or illness and seeking continued care or new treatment options, you must get approval from your managed care organization (MCO). The Ohio Bureau of Workers’ Compensation (BWC) requires MCOs to use approved treatment and return-to-work guidelines to evaluate the necessity and effectiveness of the requested medical care. Since 2004, the BWC follows the Work Loss Data Institute’s (WLDI) Official Disability Guidelines (ODG) to "assist" in decision making. It's an online database created by the WLDI on behalf of the insurance industry. When reviewing a claimant’s request, BWC or MCO staff members enter the particular illness or injury into the database, then receive the ODG’s treatment recommendations. While the WLDI claims it provides evidence-based and data-driven treatment guidelines, the organization's ultimate goal is to “reduce excessive utilization of medical services and corresponding medical cost” and get workers back on the job "as efficiently as possible". In other words, it's on the side of the insurance company—in our case, the BWC—and the employer. Far too often, the ODG is used merely to deny requests rather than as just another piece of information to consider. If you're requesting treatment that isn't explicitly listed in the ODG, you're likely to be denied, first by the MCO and then by the rubber-stamp of the BWC. Because, hey, medical treatment costs money and the MCOs and BWC are all about saving money! Appeal the MCO’s decisions and the BWC’s order to the Industrial Commission to get a hearing. The Industrial Commission is not bound to follow the ODG guidelines. The ODG should be used as it was intended—as a guideline for decision-making, not as the sole piece of evidence being considered. Make sure you get a letter from your doctor supporting her request for treatment: i.e., why it's reasonable, beneficial and necessary in your case. This needs to be submitted to your claim file before or at the hearing. Your treating physician’s opinion, diagnostic testing, results of past treatment attempts, and many other factors should be considered when making a treatment decision. Also, I suggest you never go into a treatment request hearing alone. A qualified Ohio workers’ comp attorney will make sure all evidence is reviewed and that your request is given fair consideration. Don't go through this process alone. I've helped hundreds of injured workers get the respect they deserve as they go through the workers’ comp process. Contact my office to discover if I can help you. For more information meanwhile, request a free copy of our book, The Worker’s Guide to Injury Compensation in Ohio. 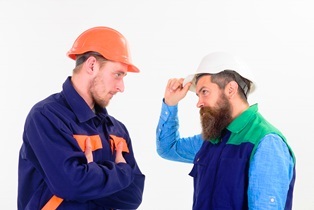 What should I do if my employer is treating me differently after reporting an injury? Uh oh. That's not good. As an employee in Ohio, you may file a claim for compensation with the Bureau of Workers’ Compensation (BWC) if injured on the job, or if you developed an illness due to unsafe conditions in the workplace. It doesn't matter if you lost focus for a minute on the Honda assembly line and your leg got crushed, or if your employer failed to make sure ice was cleared from the UPS loading dock and you fell and hit your head. Either way, your medical treatment and lost wages should be covered by workers’ comp. Ohio workers’ compensation is a no-fault insurance system designed to take blame out of the equation. Your employer can’t blame you, and you can’t sue your employer. Then Why Are You Being Treating Differently at Work? Unfortunately, despite the no-fault nature of workers’ comp, we often hear from employees who feel they're treated poorly after reporting an injury or filing a claim. If this treatment reaches the level of retaliation, legal action may be taken against the employer. Asking you not to file a claim. If an employer isn't in compliance with Ohio workers’ comp law, he won't want you to file so he doesn’t get caught. If he has a lot of claims and fears his premiums will go up, he may also try to keep you from filing. Either way, you may file a claim with the BWC and shouldn't be dissuaded. Disparaging remarks from co-workers. Sadly, workers who file claims are sometimes made to feel like liars and criminals, often by co-workers. This treatment creates a hostile workplace, and supervisors and managers should stop it. Withholding information. You may be excluded from meetings, left off email distribution lists, and kept out of the loop purposely when you're out recovering from a workplace injury. If these actions impede your employment, you may take legal action to stop it. Generally making your life harder. Increased supervision, cold shoulders, and a challenging environment can make your job a miserable place to be. This shouldn't happen just because you were injured. When my clients have these experiences, I want to hear about them. While your employer may not be breaking the law, it's inappropriate to continue treating you this way. Not honoring restrictions. If you return to work with certain restrictions ordered by a doctor, they must be upheld by your employer. Not accommodating your schedule. Shorter workdays, medical appointments, follow-up treatment, and other accommodations must be allowed if required for your return to work. No one hopes to be injured on the job so they can collect workers’ comp and take time off—that’s just not how it works. To be mistreated because of something out of your control is a terrible thing to face. Regardless of whether you're a client or not, please contact us if you're experiencing unfair treatment at work, and we'll discuss your options. Can undocumented workers collect workers’ compensation in Ohio? Yes. Under current Ohio law, every employee may have workers’ compensation if they're injured in the course and scope of employment—even if they're in the U.S. without documentation. How Can Undocumented Workers Receive Benefits? a state agency. It's not affiliated with the federal Immigration and Customs Enforcement (ICE) department. The BWC requires no Social Security number to grant benefits, so there's no way for it to know the immigration status of an injured worker. The BWC assumes every worker has legal status—because employers are required by federal law to verify the work status of every person they hire. Therefore, as the BWC sees it, if a U.S. company employs the applicant, he or she must have a legal right to workers' comp benefits. I say under current Ohio law because there's legislative action in the works to change this. In December 2017, the Ohio House of Representatives passed a bill to bar undocumented workers from receiving medical coverage and lost wages under the Ohio workers’ comp system. The bill moved on to the state senate in 2018, but as of March 2019, it's still sitting in committee. The Senate failed to pass such measures, so the success of this bill is unlikely. However, the sentiment is there. Should You Apply for Workers’ Comp as an Undocumented Worker? If you're employed by an Ohio company—regardless of your immigration status—and your on-the-job injuries require expensive medical treatment, know that you're entitled to have those costs covered by workers’ comp. No one should even ask about your immigration status. Unfortunately, undocumented workers often live in fear of being discovered and deported, so they don't report injuries or file for workers' compensation. If you suffered a serious injury, talk to an Ohio workers’ comp lawyer. If you're an undocumented worker injured on the job—or are concerned about someone who is—contact my office in Upper Arlington to learn about your options. No one should be made to feel like a criminal because they were injured at work and are applying for the benefits to which they are entitled. For more general information about Ohio workers’ comp, request a free copy of my e-book, The Worker’s Guide to Injury Compensation in Ohio. How can I find a workers' comp attorney I can trust to do a great job in Ohio? Many attorneys have several practice areas. But much like medicine, the law has areas of specialization. When you need a lawyer, you want to make sure he or she is qualified and experienced in the practice you need, not someone who merely dabbles in it. Workers' compensation law is no exception. If you were seriously injured on the job and are struggling with the workers’ comp system, you want an attorney with expertise in the precise issues you're facing and understands the many intricacies of this area of law. First Things First: Do You Need a Lawyer at All? Your employer will probably say you don’t need a lawyer for your workers' comp claim and, sometimes, this is probably correct. If your injury is minor and you see no obstacles to your claim’s approval, you probably don’t need a lawyer. Your injury or illness isn't clearly work-related. You need extensive medical treatment. You require significant time off work to get better. Your injuries will be permanent and affect work you're able to do in the future. If you fall into one of these categories, how do you find the right lawyer? You’ll have to do a little research. Just like you wouldn’t go to an orthopedist for a heart problem, you don’t want to go to a personal injury or family law attorney for a workers' comp claim, even if they will take your case. Devotes most or all of his or her practice to workers' comp law. Is a certified Ohio workers' comp specialist attorney. Knowledge about your industry and the injury you have. Experience with the issue you're facing—whether it's a delay, denial, or another problem. A record of success in administrative hearings and negotiating settlements. How do you find this out? Look at the attorney's online reviews on Avvo, Google or even Facebook. Also, call and ask us! At Monast Law Office, we're happy to answer your questions to make sure we're the best fit for one another. I began practicing workers' compensation law in 1985. Since 2003, the first year specialization was permitted, I've been a certified Ohio workers’ comp specialist attorney, and I'm prepared to handle any workers' comp claim. Whether you were injured working for FedEx, Amazon, Ohio State, Kroger, Honda, or any other public or private employer in the Buckeye State, I've probably represented a client just like you. Download your free copy of The Worker’s Guide to Injury Compensation in Ohio today to gain a better understanding of Ohio’s workers’ compensation laws. Then, contact our office in Upper Arlington for a free consultation to learn more about us. Will Ohio workers’ compensation cover my cumulative trauma injury? The short answer is yes—workers' compensation should cover any work-related injury that prevents you from completing the duties of your job in Ohio. 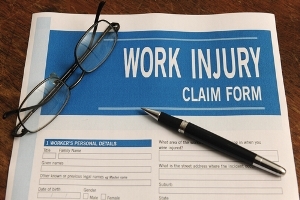 However, some disabling injuries are harder to connect to a specific work-related event. These are denied more often by the Ohio Bureau of Workers' Compensation (BWC). For example, cumulative trauma injuries that continue to worsen over time are usually harder to support without the help of an experienced workers' comp attorney. What Is a Cumulative Trauma Injury? Neck. Heavy lifting, leaning over a desk or workbench, and sitting or standing for long periods may cause damage to tendons, muscles, and nerves in the neck and spinal disk injuries. Shoulders. One of the most common musculoskeletal injuries among workers, shoulder injuries such as rotator cuff damage is frequently caused by lifting, carrying, pushing or pulling, and working with your hands above shoulder level. Lower back. Damage to tendons, muscles, and nerves in the back, and bulges or herniation of spinal discs is often the result of repetitive or heavy lifting and twisting, or sitting at a desk for long periods. Wrist. 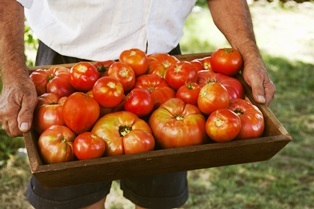 Tendinitis of the wrist and carpal tunnel syndrome are common in workers who perform repetitive tasks, such as on an assembly line or at a supermarket check-out or computer station. Jobs with high production requirements, such as positions at Amazon fulfillment centers, put workers at particular risk for cumulative trauma injuries, as do tasks that require employees to stay in the same position—whether sitting or standing—for extended periods. However, even when these risks are well known, you could meet with resistance when applying for workers’ comp for a cumulative trauma injury. I'm a board-certified Ohio workers' compensation lawyer who provides exceptional legal representation for job-related injury cases like yours. Whether you're considering making a compensation claim or were denied benefits for a cumulative trauma or repetitive stress injury, contact my office today. Your initial consultation is free, and our legal team will advise you on the best course of action. Give our Upper Arlington law office a call at (614) 515-2595, or download our free guide for injured workers in Ohio. I mention the proverb because, at first blush, the timeframes for settlements of claims should seem fairly straightforward. And, sometimes, they are: once a settlement is reached and the paperwork filed with the BWC, the parties have to wait 30 days before the settlement is final and the check issued a few days later. That part about “once a settlement is reached”, now that’s the rub. I’ve written about determining fair settlements before. I’ve had settlements where an agreement is reached, all the documents signed and filed, and the check issued within 45-60 days. But, as my old Pappy used to say, those are “as rare as hens’ teeth”. (Actually, researchers say they have found a naturally occurring mutant chicken called Talpid with a complete set of ivories. But, I digress…). More often, settlements take months…sometimes, many, many months. And, in my experience, larger settlements take longer because there’s lots involved. The more serious the injury, the more likely the need for ongoing medical treatment. Who’s going to pay for that treatment? Medicare doesn’t want to pay for treatment of work injuries once you’ve settled. They will require you establish a Medicare Set-Aside trust account [MSA] and put some of the settlement proceeds in that account. The set-aside amount has to be determined, usually by hiring a company to evaluate future costs of a claim over your lifetime and then submit that figure (presuming the parties agree with it) to Medicare for approval. This takes from 3 months on up. (Actually, it’s quicker now than a few years ago where approval could take 9 months). PERS and SERS don’t yet require set-aside amounts, so settlement of claims involving folks who worked for public employers or the school system don’t require this step. However, the BWC will still insist on allocating a portion of the settlement proceeds to medical and prescription treatment. [Does this seem asinine? It is…]. Another consideration is the time to negotiate a settlement. With the BWC, the players change depending upon the settlement amount. For example, BWC Claims Service Specialists may settle claims for up to certain dollar amounts. Above this, their supervisor has to sign off. Settlements up to $175,000 require approval by appointed BWC attorneys. Settlements above this amount have to go a special committee that meets only once a month. There’s a similar dynamic with self-insured employers, meaning you move further up the chain of command the higher the settlement. And large businesses sometimes have “excess carrier” coverage, meaning after a certain dollar amount has been spent, the excess insurance carrier gets involved in payments and, hence, any potential settlement. Large settlements are sometimes paid through annuities over many years, if the parties agree to this. It takes time to set these up. filed with the Industrial Commission which has 30 days to review and dismiss the settlement. If they don’t act or object to the settlement as unfair, payment is made after the 30 days expire. While there’s no enforceable rule on how soon the settlement check is to be released after expiration of the 30 days, it’s typically one to two weeks. So, how long does this settlement process take? Well, I’ve had some settlements take one and a half years for the process to run its course. The point is the part leading to filing the paperwork usually takes lots of time. In simpler cases (generally smaller ones involving the BWC, as opposed to a self-insured employer where an MSA analysis by an outside company is involved), the settlement process typically takes around four to six months from initial settlement workup, to filing paperwork, to BWC analysis and offer, negotiation and final agreement, to submission of final paperwork, the thirty day waiting period, and issuance of the check. The process is often quicker if an agreement has been reached with a state-funded employer where the claim is still in its experience-rating period as the BWC usually approves these if not obviously fishy. Still, look for two to three months. In court settlements, there is no thirty-day requirement. However, getting paperwork prepared, signed by all parties and filed by the parties is often ridiculously slower than it should be. In my experience, finalization of the settlement in these cases, which should take less than 30 days between agreement and issuance of a check, takes three months or more. The quicker you get your part of the process completed, the quicker the settlement will be finalized… presumably. But the other parties (the BWC and the employer) may not move as fast (they move faster at certain times of year, such as when premiums are being recalculated). While this is frustrating, eventually the matter will be resolved. Patience is essential. Remember another saying: The best time to plant an Oak tree is 50 years ago; the next best time is now. I was injured while doing volunteer work. Am I covered by workers’ comp? Unfortunately, despite the generous gift of your time and effort, you're not covered by workers’ compensation while performing non-emergency volunteer services for a private company or a non-profit organization, including a church. In Ohio, employers are required by law to carry workers’ comp for their paid employees, but not for voluntary workers. The only exception to this rule is for volunteer emergency services providers who work for a public employer, such as a school, township, or village. This includes volunteer firefighters, police officers, or emergency medical technicians. Public employers must purchase workers’ comp insurance for any volunteer emergency service providers working for them, and may also elect to buy coverage for volunteers performing non-emergency services or for workers completing community service hours instead of a fine or jail sentence. If you're injured while volunteering for a public employer, ask about its workers’ comp policy. However, volunteers who provide emergency services to private employers aren't covered by workers’ comp. 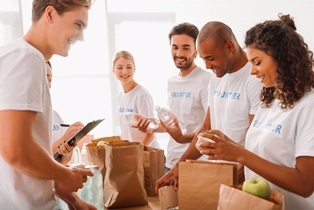 Private employers and non-profit organizations may purchase additional coverage for volunteers under their general liability insurance policy, but this isn't a form of workers’ compensation. Another question I sometimes get is whether you can volunteer work while collecting workers’ comp benefits. The answer to this depends on your medical restrictions. If you're on temporary total disability or permanent total disability because you're unable to work due to a job-related injury or illness, you shouldn't perform physical labor of any kind—including as a volunteer. Doing so could jeopardize your benefits. Just because you're not paid for the work doesn't mean you're cleared to do it. If you have questions about workers’ comp coverage in Ohio, please call my office. We're happy to talk to you about your status as a volunteer or to discuss what volunteer work you may be able to do while receiving workers’ comp benefits.